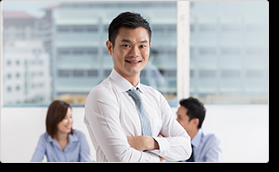 The Emotional Intelligence (EQ) For Professionals training course in Singapore teaches you how to develop your emotional intelligence or your ability to manage your responses based on your objective assessment of different personalities and situations. After completing this one-day course, you will have learned: what is EQ, the four core skills required to practice EQ (self-management, self-awareness, self-regulation, self-motivation), how to use empathy, how to interpret, manage and articulate your emotions using the right language, the benefits of having a high EQ both at home and in the workplace, and much more. This newly found emotional "awareness" allows you to communicate more effectively, succeed at work and achieve your career and personal goals in a shorter amount of time. Emotions can and do influence the way we act and react in the workplace. Emotional Intelligence (EQ) is the ability to recognize our behaviours, moods and impulses, and manage them in a positive way so that you can communicate more effectively, succeed at work and achieve your career and personal goals. The PD Training Emotional Intelligence Course teaches you how to build stronger relationships, how to empathize with others, how to manage your stress levels, how to overcome challenging situations, diffuse personal conflicts and much more. You'll learn skills like managing your non-verbal communication, how to interpret and manage your emotions and balance your optimism and pessimism, using coping methods and relaxation techniques and more. This course will make you more aware of your own thoughts and feelings and as a result improve your ability to interact with others both in the workplace and at home.